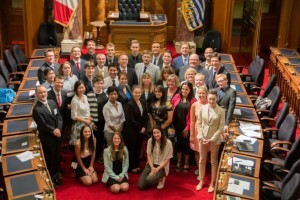 The Centre’s 3rd annual Summer Institute for Future Legislators concluded this August, at the Legislature in Victoria, B.C. We are very grateful for the support we receive each year from the Speaker of the House and her staff. Tazmin Mitha, a participant in this year’s SIFL program has written two terrific blog posts about her experience in the program and the final weekend’s parliamentary simulation.